Product prices and availability are accurate as of 2019-04-18 02:28:46 UTC and are subject to change. Any price and availability information displayed on http://www.amazon.com/ at the time of purchase will apply to the purchase of this product. 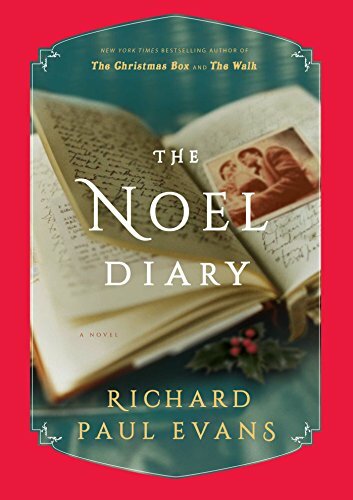 Right now you are looking at our amazing merchandise, The Noel Diary: A Novel (The Noel Collection) by the manufacturer Simon Schuster. This is a beautiful merchandise for any Christian and should be in your home. Buy this item right now! In this new holiday-themed novel from the #1 New York Times bestselling author of The Mistletoe Promise and The Walk, a man receives the best Christmas present he could ask for: the chance to re-write the past. Bestselling romance author Jacob Churcher hasn't been home for almost twenty years—not since his mentally ill mother kicked him out of the house when he was just sixteen. When a lawyer calls, days before Christmas, to inform him that his estranged mother has passed away and left her house to him, Jacob returns not just to settle the estate but to try and reconcile with the past and the pain and abuse he experienced as a child. Also, maybe cleaning out her house will be slightly less depressing than spending the holidays alone, watching re-runs of Christmas classics. But as it turns out, the house holds more than just difficult memories, Jacob’s mother had become a hoarder and he must excavate through two decades worth of clutter. As Jacob digs through the detritus, like an archaeologist, he uncovers many puzzling items including a diary left by someone named Noel, a young woman he has no recollection of, who stayed with Jacob’s family during her pregnancy. That’s not the only echo from the past. Jacob has an unexpected visitor, Rachel, a woman looking for the mother who put her up for adoption thirty years before. United by their quest to make sense of the past and rewrite their futures, Jacob and Rachel begin a search for Noel. Along the way they find more than they possibly imagined, including grace, forgiveness and a chance at love.